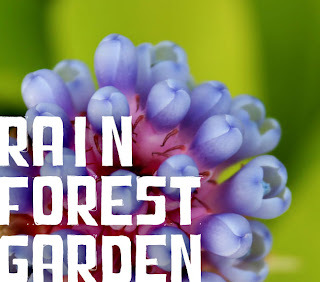 The Rainforest Garden: Rainforest Garden Facebook Group is Live! Rainforest Garden Facebook Group is Live! I just started a facebook group so we can all converse without limiting ourselves to our blog entries! Its pretty much a group for anyone who ventures outside the norm in gardening by growing unusual plants, pushing the limits of your hardiness zone or by using interesting themes in your garden design. This group is open to the public and you can share it with anyone you choose. Feel free to share links, photos, events or anything else you can think of too! There have been plenty of times in which I've wanted to share things with you and couldn't contribute a whole post to it, so feel free to share those little tidbits with the group! This is also a great way to share that new orchid bloom with other gardeners who will "ooh and ahh", without posting it to all the friends and family who couldn't really appreciate it anyways. Also, if you have questions you want to ask other members, just post it in the discussion board! I look forward to seeing you guys there! help me decide on a photo from my plant fanatic blog, if you don't mind? Hi Steve, thanks for the alpinia 'midnight' recommendation. Have you planted Siam Tulip ginger, Curcuma alismatifolia before? I wonder if the plant can withstand sun and rain. Congratulations on your facebook. I'll be checking it out.